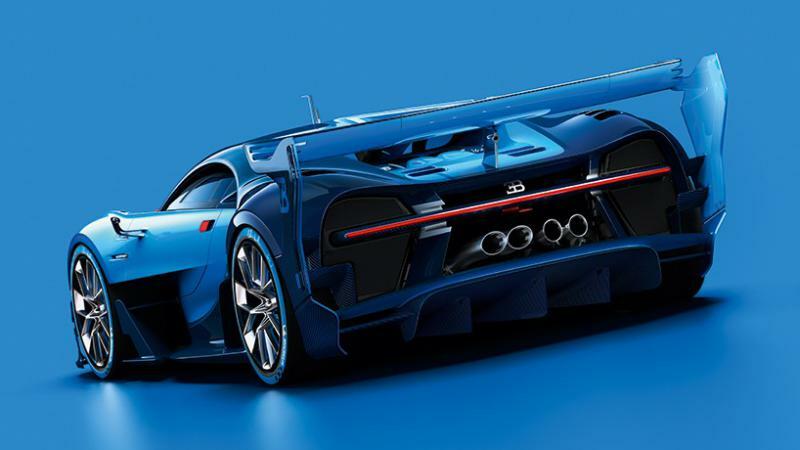 During the 66th international motor show held in Frankfurt, Germany the amazing crew of Bugatti showed the audience the next step they are about to take, that will undoubtedly skyrocket them into a undisputed top spot in sports cars world. They are actually doing a once virtual prospect and for everyone’s absolute joy they are turning it into reality. The French giants introduced the “Vision Grand Turismo” – digitalized shots of the infamous speedster celebrating both racing history and their absolute masterpiece of motor technology. 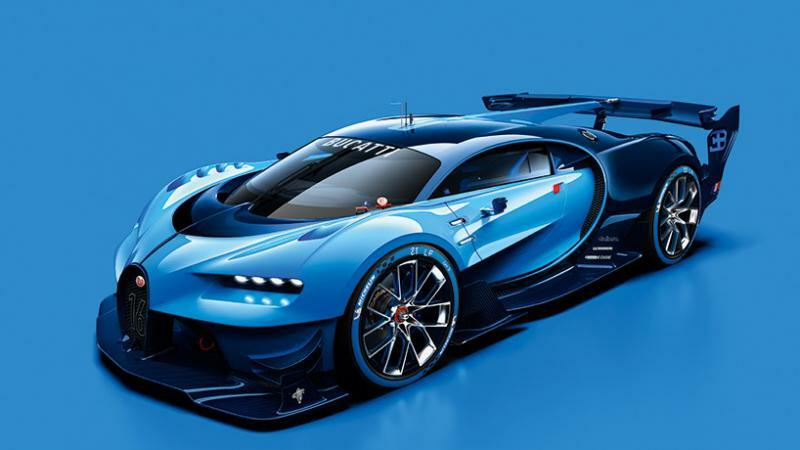 It is in a way Bugatti’s effort to pay tribute to the traditions of the old days, all the way back to the 20’s and 30’s of the 20th century and the glorious victories in the amazing Le Mans 24 hour race. The true inspiration for this incredible design they took from their own history books and in particular the “type 57 tank”. The designers also brought back the absolute classic blue two tone color that brings the spirit of the old school French race cars from that particular period. 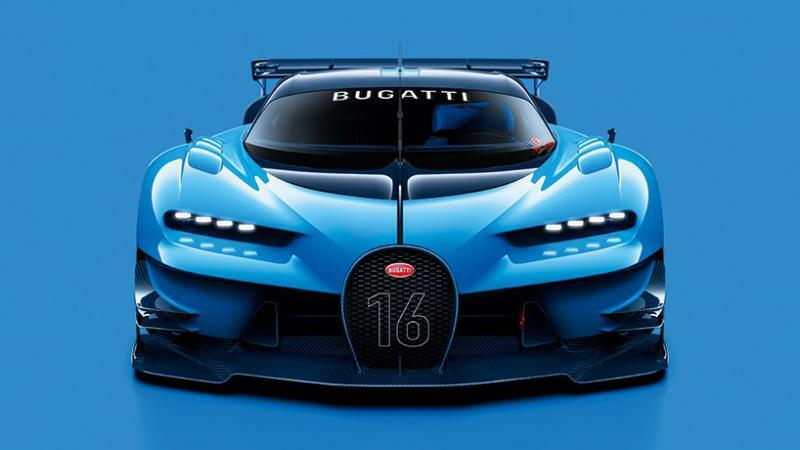 This virtual masterpiece was created with the help of the infamous Bugatti engineers in order to preserve the spirit of the brand in full detail so this furious giant can actually have a real function. According to them it is based on the incredible racing technology and the most precise aerodynamics analytics there are. It may just be a virtual design for now but the designers have given it their best to put the soul of Bugatti and the unique style into the project of this magnificent car. But not everything is taken from the old models. Some things are influenced by today’s models (which are pretty damn good if I may add) like the side view for example. The design for it is taken directly from the famous lines of the newest models of the French motor giant. Alongside those lines they put the horse shoe, a symbol of one of the most recognizable brand in the world. The front looks absolutely insane with the amazing headlights designed in particular for the “Vision Gran Turismo”. 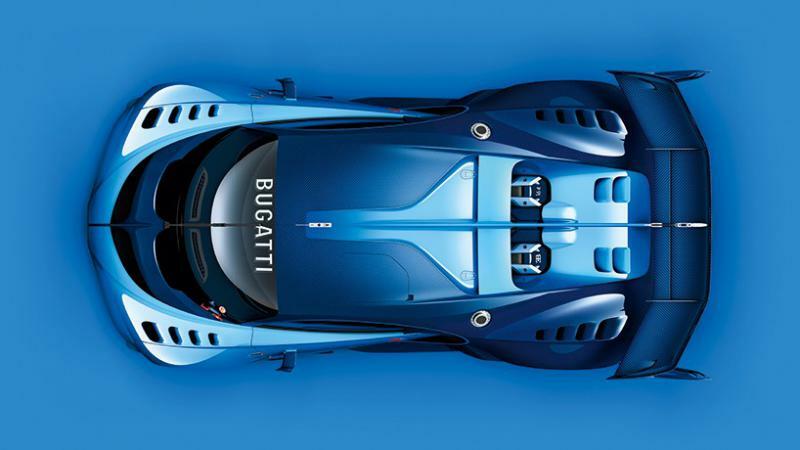 “The bugatti design team normally works only for the exclusive and very distinguished circle of the brand’s customers. 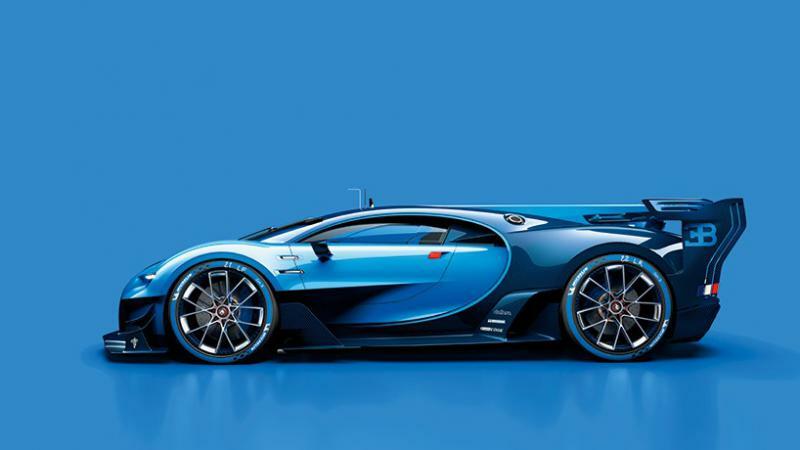 Now bugatti vision gran turismo has given us the opportunity, for the first time, to do something special for our fans as well.” – describes head of bugatti design, Achim Anscheidt.